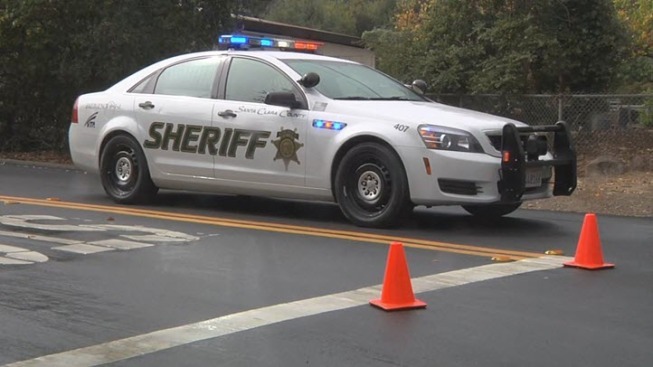 Investigators are working to identify a suspect in a shooting that left a man injured in a quiet Los Altos Hills neighborhood on Friday and forced residents to briefly shelter in place, a Santa Clara County sheriff's spokesman said. Deputies responded to a report of shots fired at a residence on Oak Knoll Circle shortly after 11 a.m., sheriff's Sgt. Richard Glennon said. When deputies reached the scene, they set up a perimeter and requested additional assistance from the sheriff's emergency response team, which is similar to a SWAT unit, Glennon said. Deputies surrounded the home where the shots were reportedly fired and found a man suffering from at least one gunshot wound, Glennon said. The man was transported to a hospital where he was sent to surgery, but Glennon didn't have an update on his condition on Friday afternoon. People inside the residence where the shooting occurred followed deputies' orders to exit, cooperated with investigators and were being interviewed, Glennon said. It's unclear who fired the shots and no arrests have been made, but sheriff's officials believe they located everyone involved in the shooting, he said. Investigators are looking for the weapon, bullets, shell casings and any other evidence at the scene, the spokesman said. The injured man and everyone in the home were familiar with one another, Glennon said. Reverse 911 calls were sent out to residents in the area to stay in their homes until the shelter-in-place order was lifted around 1:30 p.m., according to Glennon. Anyone who has information surrounding the shooting is asked to call the sheriff's 24-hour tip line at (408) 808-4431.